Before joining Nissan she worked as a lawyer, specialising in antitrust, competition and trade, representing numerous international organisations across a variety of industries. She has driven the transformation of the legal department within Nissan, to ensure it is operating as a close business partner that collaboratively finds solutions and that can respond effectively to any legal issues as they arise in an industry under significant change. Her team is made up of a number of sector specialists who are supported by regional legal experts. 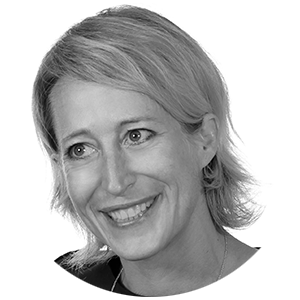 She also manages external law firms when the company needs additional specialist support – for example, M&A transactions or advertising rules and regulations in different countries within the region. Since becoming Vice­President of External & Government Affairs, Friederike Kienitz has driven the transformation of the unit into one dedicated to delivering high quality communication and engagement programmes with stakeholders from Governments, non­governmental organizations and other public stakeholders to promote Nissan’s corporate vision and thought leadership, and its contribution to the broader society. Under her leadership the department advises the business to navigate the challenges coming from political change including of change in government, policy direction, and regulation to successfully leverage opportunities for the business. She has lead on the business response to Brexit managing cross ­functional working groups providing impact assessment, strategy and engagement plans with the most senior members of government and officials in the UK. Friederike oversees engagement with senior government decision makers across Europe and directs the unit’s lobbying activities on industrial strategy, competitiveness and technological innovations including autonomous drive and electric vehicles. An ambassador for Nissan, Friederike led Nissan’s partnership with COP21 alongside Alliance partner Renault. Maximising the business benefit; ensuring maximum employee engagement and integrating communication priorities to promote the brand. Friederike was appointed to her current role after spending nearly two years as Nissan’s Acting General Counsel for Europe based in Paris. Immediately prior to this, she served as the Legal Affairs General Manager and the Legal Affairs Manager having joined Nissan in 2008. In her first role for the company she was responsible for overseeing the legal issues in Germany, Austria and Switzerland. She was born in Dϋsseldorf, Germany, and studied at universities both there and in France, before formally qualifying as a lawyer in 2002. She immediately started to work for Freshfields Bruckhaus Deringer in Cologne, specialising in antitrust, competition and trade law. A large part of her time was spent dealing with global merger control matters. In 2005, with two others, she founded Bracht Gerber Kienitz, a law firm with expertise in commercial and competition law. While there, she advised international companies in complex contract negotiations including transnational mergers and other large projects. Friederike is very proud of the way that her team has adapted to the dynamic business environment, showcasing their legal expertise on a global level. Since joining she has reorganised the way the legal functions operate across Europe. The company has built on and developed its people and now a number of European specialists act on a global platform. Friederike transformed the legal services team in Europe, turning the department into an efficient and service­orientated function. Friederike describes Nissan as a diverse company, which helps to bring a good dynamic to projects and challenges. She is impressed that Nissan has managed to encourage a collaborative culture across the world, more so than any other company she has worked with. Nissan is also very responsive to changing situations, able to move quickly to address any external factors that impact the business. As the industry continues to focus on autonomous vehicles, putting more and more technology into products, Friederike believes there will be increased attention on data protection and privacy issues across the industry. Friederike is married and has a five­-year­-old son. She loves cycling, skiing and the arts. Friederike drives a Nissan LEAF. Her first car was a red Fiat Panda.